Nous sommes une équipe petite mais féroce qui se passionne pour la petite entreprise. Notre équipe carbure au succès. Notre équipe carbure à votre succès. Rien ne nous fait plus plaisir que de voir votre idée d’affaires se concrétiser. Nous sommes fiers de faire partie de votre parcours entrepreneurial et de fournir les meilleures ressources disponibles pour contribuer à rendre votre jeune entreprise prospère. 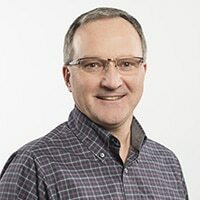 Gord Sawatzky has been the Executive Director since 2014. Gord has held leadership roles in a number of private, public, and not-for-profit organizations. 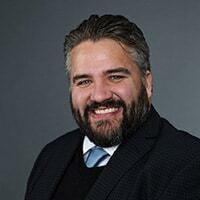 His background is in management consulting with a specific interest in supporting Indigenous communities to reach their economic and business development goals. 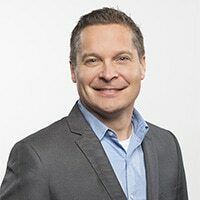 Gord is focused on ensuring that Business Link delivers exceptional client service and believes that entrepreneurs benefit from true collaboration of service providers within the business support ecosystem. In his spare time Gord enjoys reading, travelling, and chasing his two kids around the soccer field. 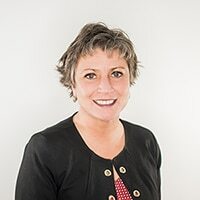 Suzanne leads our Client Services team bringing experience from over 20 years in management consulting, working in the self-employment and org and people realms. 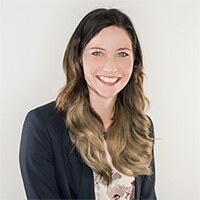 At Business Link, her goal is to lead her team to client service excellence and to ensure every aspiring Alberta entrepreneur learns of Business Link’s great service offerings. Suzanne is passionate about business and loves guiding entrepreneurs through the sometimes tumultuous journey of launch and growth. Kari helps clients find answers to their burning business questions on a daily basis. She enjoys putting her broad range of interests and experience to work for Alberta’s entrepreneurs. One of her main passions is market research and she greatly enjoys jumping down rabbit holes to help clients find information. She also plays a part in projects to ensure that Business Link runs like a well-oiled machine. When Kari isn’t out enjoying theatre arts or exploring the world, you’ll find her with her nose in the latest novel or volunteering with Ten Thousand Villages. Her dream business would be a bookstore! David provides exceptional client service leadership, collaborates with an amazing team, and offers one-on-one guidance and advice to entrepreneurs. 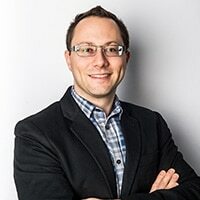 He has extensive business knowledge covering areas like startup planning, trend research, Business Model Canvas, marketing, crowdfunding, event planning, and strategic growth. David also loves innovation and has experience in product design, intellectual property and tech. If you need creative ideas, he can brainstorm with you! David’s past startup experience includes running his own handyman business. He is also actively involved in various community initiatives, social causes, and always has an invention on the go! Wendy has an extensive education in business with focus on strategy and leadership. She has worked in oil and gas, travel, and banking before finding her passion in the start-up space. Wendy has worked with several tech start-ups across Canada with projects spanning from health care to clean tech. In her spare time, she can usually be found listening to music, hiking, reading, running and spending quality time with her family, notably her adorable dog. 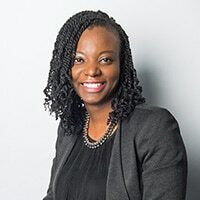 Audrey is very experienced in many different fields of work including business development, international development in social and natural resources, agroprocessing, and packaging. She also successfully launched and operated a line of food products in her home country of Ghana. Combined with her business degree, this experience gave her valuable insight into the business and entrepreneurial world. When Audrey isn’t out globetrotting, you can find her snuggled on the couch unwinding from her day with a cup of tea and a slice of cake watching Friends. Angela loves working with entrepreneurs, finding it a refreshing change from years of government bureaucracy writing policy and legislation for the energy sector. Originally from Nova Scotia, Ange has made Alberta her home without losing that special East Coast charm. In her free time, she enjoys kayaking, mountain biking and hiking up mountains in the Rockies. She also has a passion for traveling to exotic destinations. You can always count on Ange to be wearing great shoes. Frank has extensive knowledge and experience working in the financial and banking industry. He provided consultancy services from large companies to mid/small sized businesses. Frank is always excited to listen to new business ideas and support entrepreneurs to get their businesses started. He enjoys guiding customers and offering them all the support needed to see them succeed with their businesses. In his free time, he enjoys watching sports and learning about other cultures. He also loves travelling to warm destinations whenever he gets the chance to explore the world. 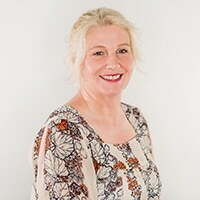 For over 20 years Sheila has helped people establish self-employment by assisting them with their business plans, providing them mentoring support, and occasionally offering up creative ideas to help them secure loans to start up their businesses. When Sheila isn’t catching up on the events involving her two adult daughters, one a student now studying occupation therapy and the other in social marketing, she enjoys spending time in the great outdoors with her golden-doodle, Coco, or putting her creative talents to use by crafting up something special. Dale Schaub is one of the team’s road warriors covering central Alberta. He builds essential relationships with urban and rural communities as well as delivers presentations and workshops to aspiring and existing entrepreneurs. 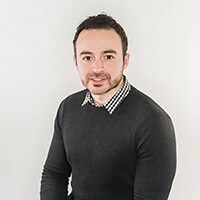 Having worked in a variety of industries and environments, Dale has a diverse knowledge of sales, marketing, new product launches, new business development, and training. At Business Link, he counts regulations, independent contracting, e-commerce, and cannabis as areas of expertise. His past startup experience includes running a modest delivery business. When he’s not working, you can most likely find Dale out camping anytime it’s not winter. He’ll be happily playing cards or board games with his friends and family while discussing grand ideas and wondering when the rain is going to stop. Yoyin loves listening to creative entrepreneurial ideas and is passionate about helping bring those ideas to life. She never wants any entrepreneur to feel alone in their journey. 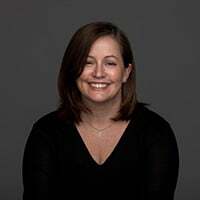 With over 15 years’ experience in business development, client services, and business planning, she brings diverse and invaluable experience to the team. She thoroughly enjoys facilitating workshops and watching eyes light up when new knowledge hits home. She is an avid reader who loves the smell of new books! Jennifer comes to the BL team with a background in marketing, start-up planning, and event coordination. 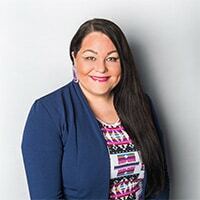 Her diverse background specifically within the Regional Municipality of Wood Buffalo (RMWB) includes business development, Indigenous and rural relations, policy development, grant and business writing, and workforce development. Jenn is passionate about working with entrepreneurs to get business started or growing and hearing new business ideas. She enjoys guiding clients and offering support in the areas they need. Jenn grew up in Edmonton but loves living in the RMWB now. In her free time, she loves to practice yoga, try new things, (will try almost anything once!) travel, and watch Netflix while she cleans. When visiting family and friends in Edmonton Jenn loves trying new restaurants, so make sure to let her know if you open one! Barry is part of our research team, always with his eyes on the ball, finding tidbits of small business information to help clients succeed. When he steps away from a computer (depending on the season), you will find him chasing small objects like golf balls and pucks. Barry also looks forward to finding new beaches, beers, Malbecs, and music. Jean-Jacques brings to our team a wide array of expertise in for-profit business, non-profit/charity, social enterprise, and immigrant entrepreneurship to help entrepreneurs of all backgrounds successfully start and take their ventures to the next level. 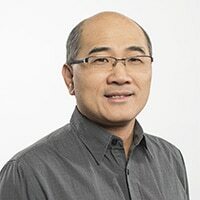 His other areas of interest include nonprofit board governance and engagement, charity status registration, strategic planning, volunteer management, event planning, fund development, and translation. 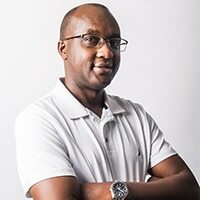 Jean Jacques is a networking geeky nerd and a volunteer enthusiast! When he’s not networking, you’ll find him volunteering his time to local and international causes, and spending time with family. If there’s time left over, you’ll find him playing and coaching kids or watching or playing his favorite sports, soccer, basketball, and cycling. Tina is our travelling Indigenous Business Facilitator. 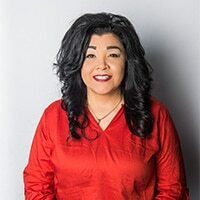 She travels throughout Treaty 8 territory, specifically to the northwest communities where she delivers workshops, attends tradeshows and conferences, and provides one-on-one support and guidance to Indigenous entrepreneurs. As a former business owner turned school teacher turned business facilitator, she brings a variety of experiences and knowledge to share in the communities. When Tina is not on the road for work, she can be found at the local lakes fishing or heading to the mountains to unplug from the world, even if for a little while. Holly is Cree and Saulteaux from Cowessess First Nation in Saskatchewan. 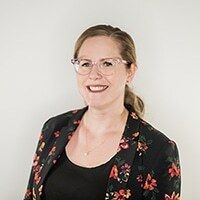 She assists Indigenous entrepreneurs in central and southern Alberta regarding the startup and expansion of their small businesses. She connects them to helpful resources while also providing guidance. She also facilitates workshops and builds meaningful relationships in both rural and urban Indigenous communities. 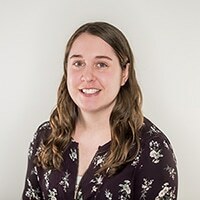 Holly holds a Bachelor of Arts Degree in English, so it is no surprise that in her spare time she enjoys reading, writing, and collecting books, and also authors a blog on the Indigenous Woman’s Identity. Holly believes the art of storytelling and communication is one of the key factors in building a strong business. 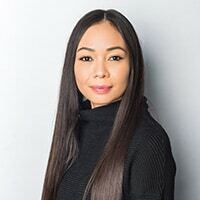 Sammy enjoys being the “quarterback” of the Indigenous Services team by handling administrative & marketing activities and loves to take the lead on many different projects to help the team move forward. Wearing a few different hats, she also continues to build relationships with Indigenous entrepreneurs by providing support and resources to ensure their success. Aside from her amazing career, she is a proud hockey mamma who lives in an arena during the season. In her downtime, you can find her studying or listening to all types of music. Marissa believes in the incredible power of small business to enhance communities and build a flourishing economy in Alberta. She supports the work Business Link does by leading a formidable team with expertise in marketing and events. Marissa also helps support and build relationships with like-minded individuals and organizations across Alberta. Providing the best support and services to entrepreneurs across the province is at the heart of all the marketing team’s initiatives. When she is not at work, you will find Marissa at some kind of event or festival, snuggled up with a good book and her adorable puppy, or planning her next adventure! 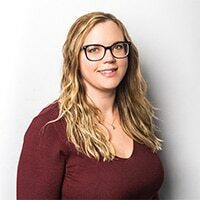 Rebecca likes bears, beets, and Battlestar Galactica, though while completing her MA in Communications and Technology at the University of Alberta, she wrote two papers on Star Trek. Rebecca’s interesting take on communications stems in part from her background in education. She worked as a substitute teacher for two years after completing her BEd, then realised that the classroom is not the optimal environment for an introvert. Today, she relishes the power she holds sitting behind a computer, able to talk with people all over the world. For now, she’s using that power for good at her role in Business Link. 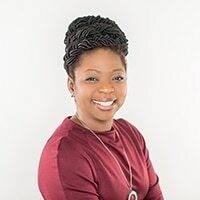 Joette is passionate about events, relationship building, creating an extraordinary guest experience, warm hospitality and attention to detail. She brings many years of experience in customer service, hospitality, fundraising, business development and event planning to the team. When Joette is out of the office she enjoys a few quiet moments to unplug while teaching meditation, practicing yoga or simply taking the time to get outside for a walk. And when the quiet time is over, you will find Joette and her husband at local festivals and events, enjoying time with their nieces, sharing a unique dining experience with friends or spending time with their rowdy chocolate lab Buster. Lori has a firm grip on our company’s finance, administration, facilities, and information technology (hence the title!). 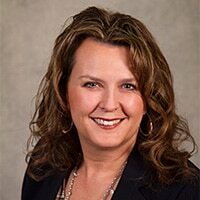 Lori has extensive experience in payroll, accounting, operations, human resources and facility management, after spending 12 years as the Northern Alberta Administration Manager for an International Company based here in Edmonton. In her home life, when she’s not collecting eggs and chasing chickens, she loves to garden, and enjoys putting her creative spin on renovation projects! Conan is our computer guy. He fixes and manages all the computer hardware and software at Business Link. Conan also develops new functionality for the CRM system and provides technical support for our webinars. In his spare time Conan can be found throwing rocks down a sheet of ice or skating on frozen water, preferably outdoors. Conan enjoys keeping up with current events and monitoring the stock markets.